Fergus is a 2017 VW California Beach. He is powered by a 150HP diesel engine and has a seven speed automatic gearbox. He boasts air conditioning, parking sensors, cruise control and 16″ alloys. 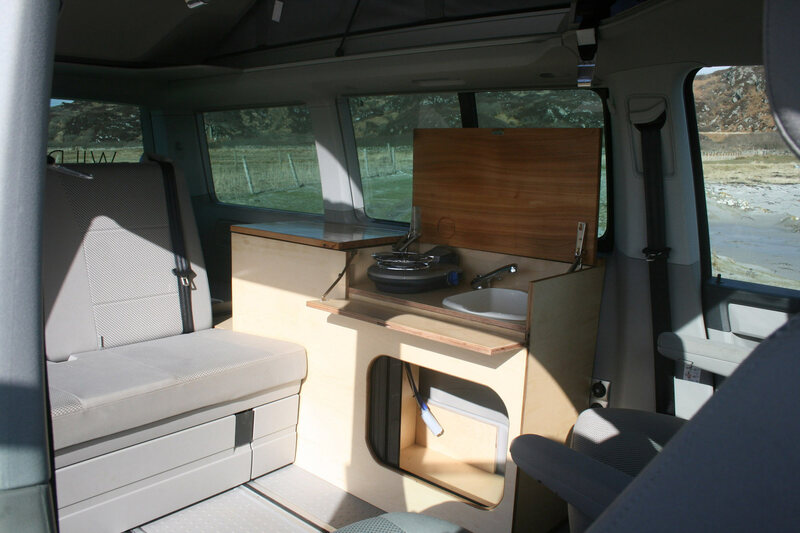 The California is VW’s flagship camper van. The Beach has less furniture than the Ocean which means a bigger double downstairs and a more versatile living space. We’ve added a unique Wild Campers Beach Kitchen Pod. 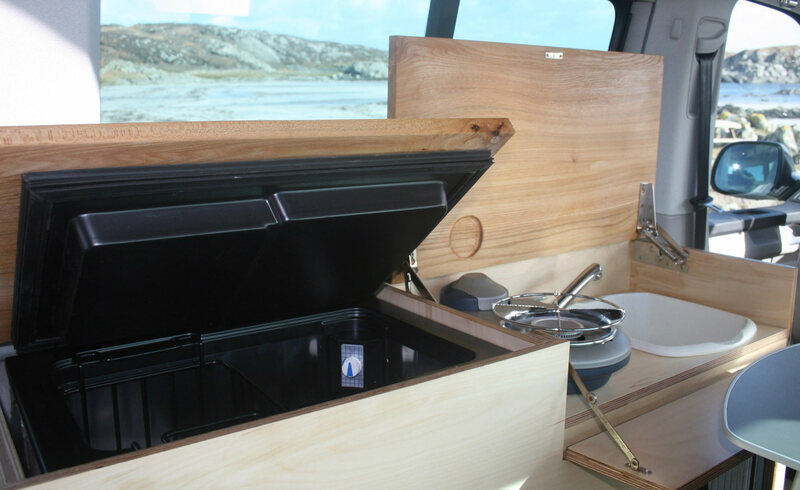 Handmade and with a solid elm top the pod means you have the practicality of cooking facilities combined with the extra space of a larger double bed. There’s a 40 litre fridge and cooking can be done either inside or outside on one of the two portable Bistro 300 stoves. For cleaning up there’s ten litres of on board water and a 12v tap. The 12 volt auxiliary power system means that you’ve got ample lighting. There’s also 12 volt car sockets, a USB charge socket and an inverter which means you can charge your own laptop or portable DVD player. And if you’re in a campsite you can plug in to 240 volt power. With a 2KW diesel heater Fergus is cosy all year round. 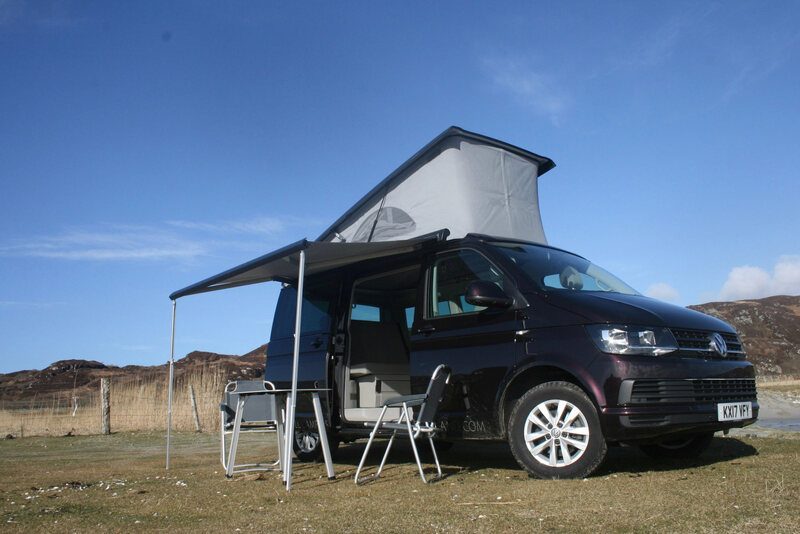 As optional extras we have offer one of the finest awnings on the market, a bike rack for up to four bikes, a Weber Smokey Joe BBQ and crisp, clean linen sets. We also offer transfers from Glasgow airport. 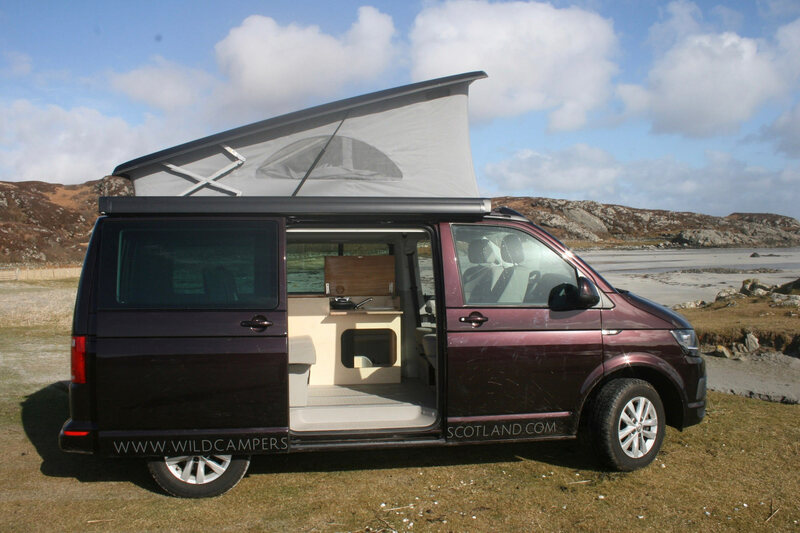 The VW T6 is the perfect camper van for Scotland’s smaller roads and ferries. And don’t forget – Fergus comes with free sat nav. 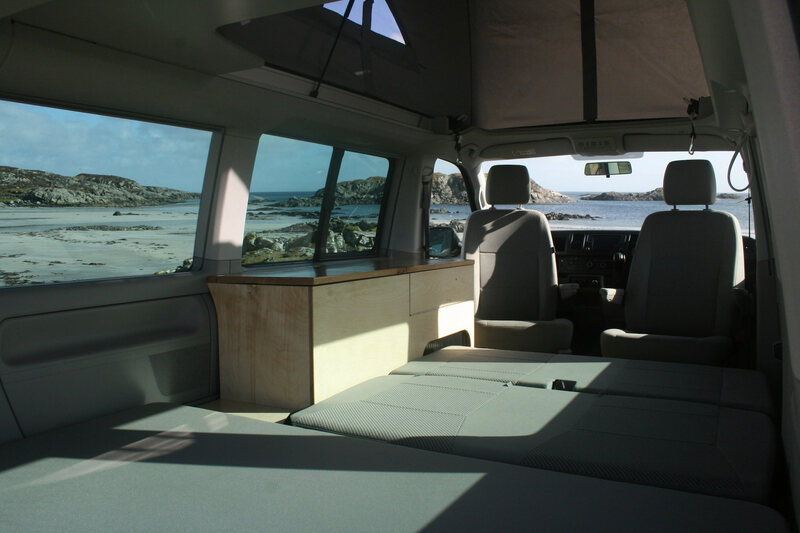 You can see a side by side comparison of our van’s features here.